Officially known as the Republic of Zambia, the country shares borders with Angola, Tanzania, Botswana, Mozambique, Zimbabwe, Malawi, Namibia and the Congo and is considered to have one of the world’s fastest growing economies. 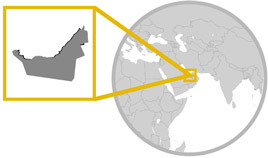 The country’s landmass covers over 752 thousand square kilometres of land and is home to over 14 million residents. Additionally, recent investments have seen greater developments in hospital and medical care as well as social protection. It’s known that Archaic Humans may have been present in Zambia as early as 200,000 BC, this is apparent through the discovering of the Broken Hill Skull in Kabwe in 1921. However, the earliest Anatomically-Modern Humans, or more specifically the Khoisan peoples, are thought to have occupied Zambia from up to 50,000 BC onwards. The Khoisan peoples continued to linger through the Bronze Age history of the country, dominating the region in its entirety and living in small self-sufficient villages of wattle-and-daub huts. The Khoisan continued to be the only inhabitants of Zambia during the Iron Age and now much is known about their civilization other than the fact that it used Stone Age technology and that they retained a hunter-gatherer culture and a nomadic lifestyle. During the 4th Century AD, the Bantu peoples migrated into the country and intermarried with the Khoisan, eventually becoming the dominant group due to superior agricultural techniques and metalworking technologies. The Bantu subsequently spread out back across the rest of Africa, with some groups forming the Zulu and Xhosa tribes. The tribes all adopted a mainly hunter-gatherer culture, but did form permanent settlements in many places across Zambia and other places in Africa. Agricultural techniques began to be developed further in the coming centuries, and saw a more advanced society rise in the 11th and 12th Centuries AD with an increased degree of copper, ivory and cotton exportation as well as trading between neighbouring regions. Copper crosses began being used as a currency between groups and larger political groups began to form as well as more complicated social ideals. During the course of the 16th to 19th Centuries, the four kingdoms of Lozi, Bemba, Chewa and Kazembe-Lunda began to spread throughout Zambia and began to dominate the region. As the kingdoms grew, the Lozi’s leader, the Litunga, created two capitals and moved between them between the dry and rainy seasons in order to avoid the flood waters. However, the kingdoms and their inhabitants remained isolated from the rest of the world until the 18th Century when Portuguese and Arab traders began to visit the region, with the first recorded Europeans visiting the region in 1796, but it’s believed that they may have been visiting the region as early as 1720. At the start of the 19th Century, the Makololo, a South-African tribe derived from the Basotho or Tswana moved into the region, but they were defeated early-on by Shaka’s new Zulu Kingdom and forced to march northwards to escape their forces. The Makololo’s leader, Sebetwane, was able to conquer the Lozi peoples and become the new Litunga. In 1820, the Portuguese finally settled in the region on the Zambian side of Feira. In 1851, the first Briton in Zambia, David Livingstone, explored the region and met Sebetwane himself, drawing him to convert to Christianity. Sebetwane began to actively follow Livingstone’s example and escorted him personally through Zambia but died shortly afterwards, being succeeded by his daughter Mamochisane. 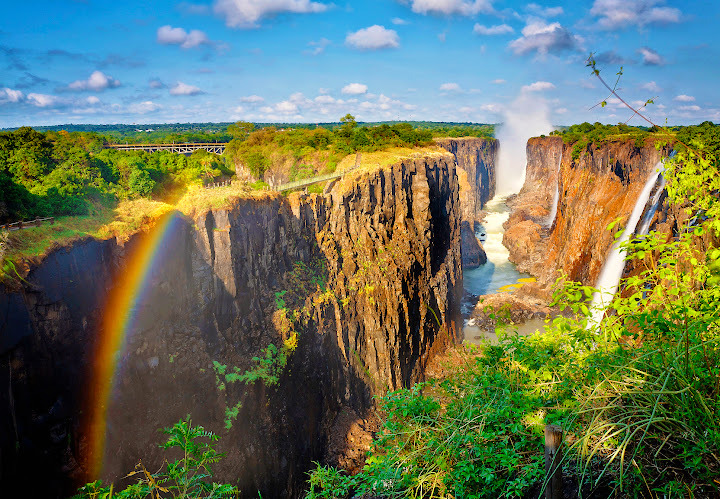 Four years later in 1855, Livingstone became the first European to see the Victoria Falls, he passed away in 1873 from a combination of malaria and dysentery. Mamochisane stepped down to allow her half-brother Sekeletu to rule, but with him the Makololo empire fell apart, especially following his death in 1863 which saw the Lozi revolt and cause a mass genocide of the Makololo ruling caste, driving the survivors out of the country to Malawi. At this point in time the 19th Century began to draw to a close and saw British settlers, traders and hunters begin to arrive due to the mineral rights concession obtained by British Political Interest Spearhead Cecil Rhodes from local chiefs in Zambia and Zimbabwe. In 1895, American Scout Frederick Russell Burnham lead and saw massive copper deposits in the country, drawing the focus onto the country’s copper resources among others. In 1923, the country was granted self-government by the British government and five years later in 1928, more copper deposits on a scale never-before seen were discovered in the region. In 1935, the country’s capital became Lusaka and by 1938 the country was producing 13% of the world’s entire copper exports. However, the poor treatment of the African mineworkers combined with increased taxation triggered repeated strikes and clashes with authorities, seeing miners being beaten and even killed with the preceding riots. During the Second World War, miners came out on strike again, realizing the importance of their products for the war they demanded even higher salaries than before. These strikes continued repeatedly through the 1940s. Prior to the 1950s, the country has been known as Northern Rhodesia, with neighbouring Zimbabwe being known as Southern Rhodesia, but in 1953 the two were joined with modern day Malawi (at the time called Nyasaland) to form the Central African Federation (CAF). By 1962, a two-stage election had been organized and an African majority had taken control of the political process, culminating in a shaky coalition between the two largest African nationalist parties. The coalition was able to pass legislation to split Northern Rhodesia from the CAF and in 1963 the federation was formally dissolved and Northern Rhodesia was renamed the Republic of Zambia in 1964. In 1968, Kaunda was re-elected as president and saw Zambia take on a single-party system. This escalated and saw all other political parties besides the United National Independence Party (UNIP) banned in 1972, being added formally to the constitution in 1973. In addition, the only candidate allowed to run for president was the current president of UNIP, allowing Kaunda to retain control of the country up until 1988. This of course saw widespread resentment towards UNIP and mass opposition, even Kaunda was opposed by his own ministers on many fronts, but whenever a group large enough within the party attempted to make a difference, he would ban the group’s activities and drive them out of government. The government additionally adopted a left-wing economic strategy through the nationalization of all private companies and further incorporation into state-owned corporations, and although at first the plan was successful, over the course of the next two decades the economy dropped by over 30%. This was especially prominent due to the price of copper dropping due to the actions of the USSR flooding the market as copper’s second largest producer, but instead of trying to reform their strategy, Zambia took out large loans from the Worldbank and the International Monetary Fund. On a social level, Zambia took part in many of the protests and activism in the African National Congress’s efforts against the Apartheid in South Africa, the National Union for the Total Independence of Angola in their independence war and the Zimbabwe African People’s Union in their civil war. Zambia also hosted the ANC’s exile headquarters in Lusaka and supported the ZAPU with a military base. However, this caused tensions between Zambia and neighbouring countries as raids became frequent on these targets, especially between Zimbabwe’s ZIPRA rebels and the Rhodesian Air Force in 1978. However, on an international level, Zambia was a member of the Non-Aligned Movement and even hosted a summit in Lusaka in 1970, making close ties with Yugoslavia and the People’s Republic of China. By 1981, the government’s one-party policy had caused widespread resentment from the Zambian populace and triggered strikes across the country. The government arrested the union leaders, among them being Frederick Chiluba. More protests and even riots arose again over rising food prices and saw the deaths of at least thirty people. Eventually, the military attempted to remove Kaunda from power but the coup d’état failed and he retained power. However, he realized the need for reform and lifted the ban on political parties, seeing Frederick Chiluba of the Movement for Multiparty Democracy (MMD) being elected as president in 1991. Chiluba liberalized the economy by restricting government interference and re-privatized many state-owned companies, taking a more rightward approach than his predecessor Kaunda. Two years later, The Times of Zambia, a government-owned newspaper, printed a story about UNIP’s ‘Zero Operation Plan’ which would see mass protesting, violence and industrial unrest. UNIP refused to deny the existence of the plan but stated that it was the view of extremists within their party. The government followed up by declaring a state of emergency and arresting 26 people, among them being Kaunda’s son Wezi. He along with six others were charged with offences against the security of the state. The other nineteen were released uncharged. Before the 1996 elections, UNIP formed an alliance with six other opposing parties and Kaunda returned from retirement to take over the party. Chiluba’s government then amended the constitution to ban those whom did not have parents both from Zambia from running for president. This amendment was aimed directly at Kaunda whose parents were both Malawian. Despite UNIP and its allies’ protests and boycotts to the elections, the MMD and Chiluba easily won them. A year later in 1997, a coup d’état was organized and the national radio station was occupied by a group of military commanders, claiming that Chiluba was no longer president. Chiluba responded by declaring a state of emergency and subduing the coup, killing one and arresting eighty-four in the process. Among the arrests made, Kaunda and Dean Mungomba, leader of the Zambian Democratic Congress, were most prominent, with the government seeing widespread condemnation internationally for the arrests due to accusations of torture. Kaunda was released in 1998. In 2001, Chiluba attempted to change the constitution to allow him to run for a third term but was forced to step back after protests from within his own party forced him to, as well as protests from the Zambian public. Although Kaunda was released after his role in the attempted coup, forty-four soldiers whom took part were sentenced to death in 2003. Mumalankhula Chingelesi/Chinyanja Moo-mah-lahn-coo-lah Chin-geh-leh-see/Chin-yahn-jah Do you speak English / Nyanja? Mundithandize Ndithadizeni? Muhn-dee-thahn-dee-zeh Can you help me? Above are a few common Nyanja phrases to help you get around. English is spoken in official, business and academic situations and is considered to be the country’s official language. However, the main language spoken locally is Nyanja, with Bemba closely following. Other languages spoken frequently in Zambia include Luvale, Tonga, Lozi, Lunda and Kaonde and number over seventy in total. In addition, French and Portuguese is very commonly taught as an additional language in private schools and they have been considered being added to the mainstream Zambian curriculum for state schools as well. German is also available as a language at the University of Zambia. Around 95% of all individuals in Zambia have reported having Christian beliefs with around 66% of these being Protestant, 20% being Catholic and around 9% being of other Christian belief, a further 5% are of other beliefs or are non-religious. Other beliefs in the country include the Christian denominations of Pentecostalism, Presbyterianism, the New Apostolic Church, Jehovah’s Witnesses, Seventh-day Adventism, Lutheranism, Branhamism, The Church of Jesus Christ of Latter-day Saints and many other Evangelical denominations. Additionally, significant portions of the population are Muslims, mainly of Sunni, Shia and Ahmadiyya sects, and there’s a small Jewish community, mainly Ashkenazis. Tribal and indigenous beliefs also exist throughout the country in small pocket groups as well. Finally, the Baha’I faith makes up a significant portion of the Zambian population as well with around 160,000 practitioners active in the country. 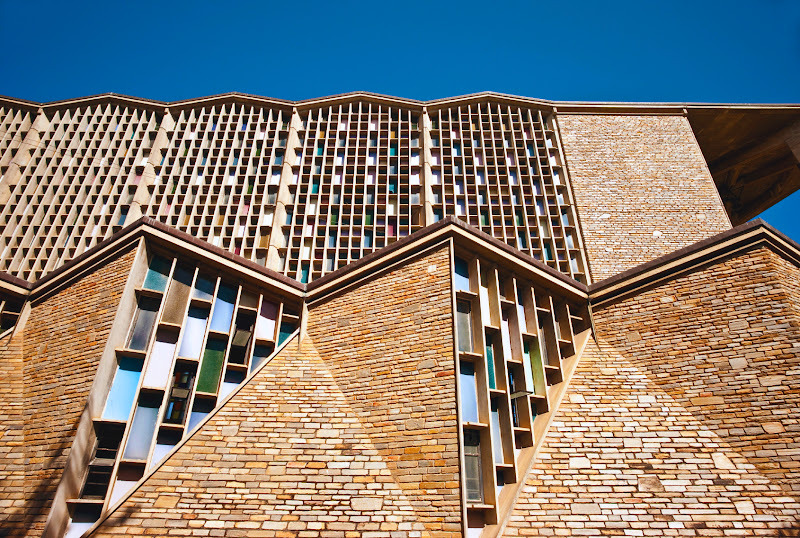 Zambian Architecture sees three main varieties, which include Tribal, Colonial and Modernist building styles. Tribal styles vary from region to region and may see various stylizations of villages, mainly those resembling the designs of the major pre-colonial era kingdoms. Colonial buildings tend to use quick-build wooden structures and may see small amounts of brickwork for solidity or foundational purposes, having a strong European or Arabic style (derived from that of the Arab traders). Modernist styles see contemporary cities with large-scale high-rise buildings in the country’s most populous areas such as Lusaka. Although today most Zambian nationals wear western-style clothing, especially so in urban areas, traditionally the style of clothing varied dramatically among Zambia’s tribes, numbering over seventy. Many tribes used animal skins, strips of cloth, beads, rattles and the like for their ceremonies, but more frequently worn is the Chitenge (a long gown made out of cotton) and the Musisi (a type of flared dress worn by both men and women). It’s also common for men to wear a waistcoat with the Musisi which often incorporates a printed design and a red cotton hat, but may be other colours as well. Zambian literature is very recent and really only sees writers from the 20th Century onwards. These writers are most frequently politicians and activists and tend to cover the situations surrounding the politics in Zambia and neighbouring countries as well as the Apartheid. Notable authors include Kenneth Kaunda, Andreya Sylvester Masiye, Charles Mwewa, Princess Zindaba Nyirenda, Chibamba Kanyama, Dominic Mulaisho, Keith Nalumango and Binwill Sinyangwe (all 20th Century). Zambia sees eleven public holidays throughout the year, starting with January 1st: New Years’ Day. On March 12th, Youth day sets in for the second public holiday of the year, then in late March to early April, Good Friday and Easter Monday are celebrated. May 1st sees Labour Day and then on May 25th, African Freedom Day is celebrated. On the first Monday of July, Heroes’ Day is celebrated to honour the memories of those who died during the independence struggles, the following Tuesday Unity Day is celebrated. Then on the first Monday of August, Farmers’ Day is celebrated, followed with Independence Day on October 24th and finally Christmas Day on December 25th. Times Café in Lusaka offers good food, refreshing drinks and a classy aura of an atmosphere, ideal for tourists and those staying nearby whom want to network with other westerners and the like. The Alpha Bar in Lusaka is known to always host an intriguing crowd and has attracted much attention from tourists as of late, especially due to the cheap drinks that are so easily accessible. Perhaps you’re looking for a more relaxed atmosphere? 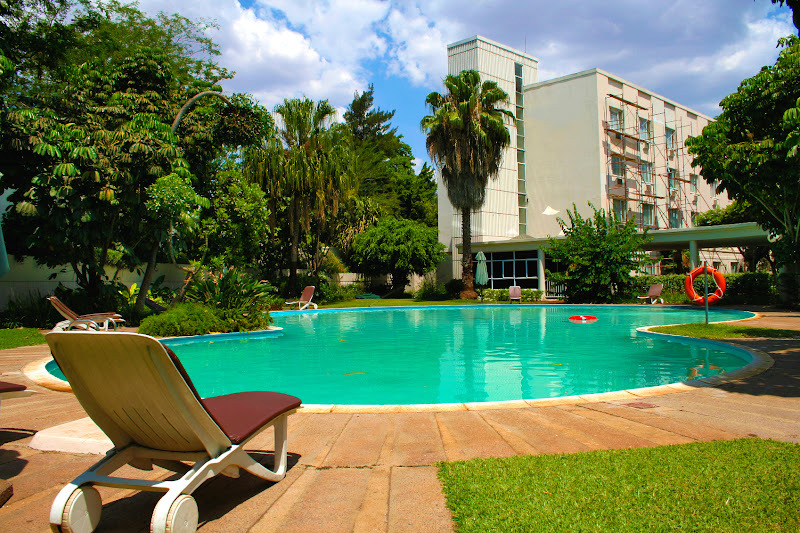 Thato’s Beer Garden & Restaurant in Livingstone offers you an opportunity to take a dip in their pool, kick back and relax with an ice cold beer, or alternatively you can kick back in front of the telly instead and watch the footy inside. Known exclusively for its ambiance, the Cold Castle in Luanshya outputs some classic 45 rpm tunes for nostalgic rumba music. Although be careful! The beat can be irresistible and draws almost everyone to eventually dance! If you’re a special kind of party animal, the Booze Cruise on the Zambezi River is the way to go, the cruise serves food to help you soak up the alcohol but it also serves the best Zambezi Lager around as well as wine, cocktails and a range of other exquisite drinks. Zambia uses the Zambian Kwacha (currency code ZMW) which can be divided down into 100 Ngwee. 1 Zambian Kwacha is worth approximately $0.16 or £0.09. Coins come in variants of 5, 10 and 50 Ngwee as well as in 1 Kwacha variants. Bank Notes are available in 2, 5, 10, 20, 50 and 100 Kwacha variants. Although unemployment is a serious problem throughout Zambia, the National GDP has actually doubles since the country’s independence in 1964 and sees around 7.3% GDP growth yearly, bringing in just short of $25 Billion a year (at around $1700 per capital). Zambia’s biggest producers are in Services (46.4%), Industry (32.2%) and then Agriculture (20.4%) whilst the labour force is the other way around, with 85% in Agriculture, 9% in Services and 6% in Industry. The country mainly exports to China (42.2%) but also majorly deals with the neighbouring countries of South Africa (7.2%) and the Congo (7.2%). The country’s main industry is in Copper-Mining and historically the country has been one of the largest exporters of copper in the world and sees over 230,000 tonnes of copper exported every year. Meanwhile, the country’s biggest agricultural sectors are in Maize, Cotton, Sunflower seeds, Sorhum, Cassava, Floriculture, Tobacco, Pearl Millet, Wheat, Sugar and Soybeans. Outside of Lusaka and other developed cities, performing financial transactions may be incredibly difficult and ATMs may be scarce. However, inside of major urban areas the ATM situation is comparable to the west and money is usually easy to withdraw and deposit. Account types most banks support in Zambia are similar to those in the west, with low-interest easy-access Current Accounts and higher-interest restricted-access Savings Accounts, but rates may vary dramatically from bank to bank. Zambia’s taxes are split into five main types, Company Income, Personal Income, Presumptive, Property Transfer, Withholding, VAT and Customs Duty. Personal Income Tax is applied on all individuals earning above a certain threshold, starting at a rate of 25% and scaling up to 35% based on income amount. Company Income Tax is generally applied at a rate of 35% for most companies, but companies involved in mining are only taxed at 30% and those involved with agriculture are taxed at only 15%. Companies with profits exceeding a certain threshold are taxed at a rate of 40% and those listed on the Lusaka Stock Exchange are taxed at 33%. Presumptive Tax is applied at a rate of 3% on small businesses below a certain threshold. Property Transfer Tax is applied at a rate of 3% on all sales of any land, building or share in the country. Withholding Tax is a is applied at a rate of 20% on all payments, consultancy fees, management fees, royalties, dividends, commissions, interest payments and rental charges at a rate of 20%. VAT is applied at a rate of 16% but some goods are exempted from this. Customs Duty is applied at a rate of 25% on finished products, 15% on intermediate goods and 0-5% on raw materials and capital goods. Many places across Zambia serve western food today and street vendors can be found selling food of all sorts including exotic fruit, rice, vegetables and meat of varying types. However, historically the staple food for Zambians was Maize, also known as sweet corn in the west, and this can be used to make a range of recipes aside from boiling the vegetable, these may include Nshima (a stiff porridge made from ground Maize), Samp (Crushed Maize and Beans) and even Chibuku (beer made from Maize and Sorghum) as well as many recipes without it such as Ifisashi (green vegetables in peanut sauce). Other common food sources include insects such as grasshoppers, cicadas, flying ants, termites and caterpillars, other vegetables such as cassava, tomatoes, sweet potatoes and groundnuts, and seasonings such as pepper, clove, cinnamon and nutmeg. Citizens from Norfolk Island whom hold Australian passports may also enter Zambia with the same restrictions. All Health Care in Zambia is regulated by the Ministry of Health, of which, statistical data is also collected and reported upon. Today, the country’s life expectancy is at around 43 years of age at birth and infant mortality rates are at 102 out of every 1,000 births, or roughly one in ten. Hospitals are concentrated in urban areas but exist throughout the country as well as multiple University Hospitals which trains students to become fully-qualified doctors. For more rural areas, community health centres run by small councils are responsible for keeping up the standard of health. Zambia’s biggest issue health-wise is the HIV/AIDS epidemic plaguing the nation, which sees around 13% of all adults in the country carrying the disease. However, it should note that this has halved from the last figure taken over ten years ago and is slowly coming under control. Zambia’s transportation network spans over 2.1 thousand kilometres and includes Zambia Railways, TAZARA Railways, the Maama Colliery Railway, the Mulobezi Railway and the Mulungushi Commuter Line. Additional links to the neighbouring countries of the Congo, Malawi, Zimbabwe, Namibia, Angola, Botswana, Mozambique and Tanzania are also available. The lines stretch across the country, connecting the cities of Lusaka, Mazabuka, Livingstone, Kabwe, Kapiri Mposhi, Kasama Ndola, Chililabombwe, Chingola, Mufulira, Luanshya, Ndola, Mpika, Kitwe, Mulobezi, Choma and Kafue. There are over a hundred thousand kilometres of road in Zambia, with around a third of these roads paved. These include roads connecting the large cities that stretch across the entirety of the nation. Water-wise, Zambia is landlocked meaning that it has no access to sea ports and harbours. However, it has many waterways which add up to become over 2,250 kilometres of navigable rivers between Zambezi, Kafue, Luangwa, Luapula and Chambeshi. Finally, the country owns eighty-eight airports, eight of which have paved runways. The airports provide travel most frequently to and from Dar es Salaam, Nairobi, Johannesburg, London, Paris, Dubai, Addis Ababa and Lilongwe. Monday to Thursday 8:00 a.m. - 4:30 p.m. Friday 8:00 a.m. - 1:30 p.m.
Japan and Zambia have continued to enjoy warm and cordial relations for many years. During this period, Zambia has remained an important country for Japan in the Region on account of its political stability and commitment to the promotion of democratic governance, economic development and the rule of law, as well as its contribution to the peace of the Region. In view of this, Japan has continued to extend financial and technical assistance to Zambia to enable the Zambian Government implement various development projects. Office hours for visitors to the Royal Norwegian Embassy, Lusaka The office is open from 07:30 - 15:30 Monday to Thursday and 07:30 - 13:00 on Friday (closed Saturday, Sunday and Public Holidays). Monday - Thursday 8.00 a.m. - 16.30 p.m. Friday 8.00 a.m. - 13.00 p.m. Visa (applications and processing): Tuesday and Thursday 9.00 a.m. - 12.00 p.m.
Zambia has around 85 thousand main lines in use as well as over 11 million mobile phone lines. The country uses the calling code +260 and uses 2 Intelsat Satellite Earth Stations (1 Indian Ocean & 1 Atlantic Ocean) as well as a further three owned by Zamtel. The Internet services in Zambia use the top code .zm and include over 2 Million Users across the world on around 15 thousand wired connections and 91 thousand wireless ones on around 17 thousand hosts. Although internet access is not restricted in any way, the government has attempted to take down critical online publications and blogs in the past but has never been successful in these attempts. Zambia’s three biggest radio stations are owned by the state-owned Zambia National Broadcasting Corporation. Alongside these, another 24 private stations also operate and at least two international stations are accessible in Lusaka and Kitwe. One TV station under the ZNBC is also accessible as well as several private TV stations, accessible through Multi-channel subscription-based TV services. 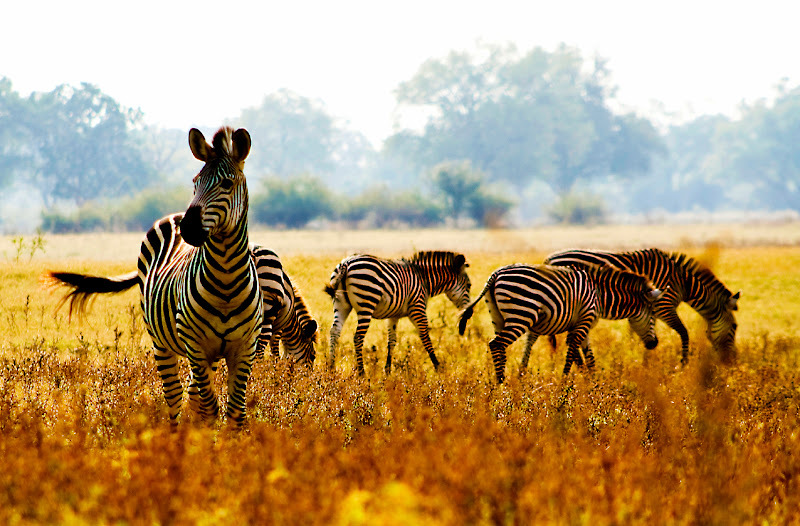 Zambia’s climate is broken into two types, mainly Humid Subtropical, but with some Semi-Arid Steppe in the south-western regions. Both of these climates are subject to between 500mm and 1400mm of rainfall annually with the rainy season between November and April and the dry season between May and October. The country’s temperatures can rise as high as 35 degrees Centigrade (95 degrees Fahrenheit) between September and October, and can drop as low as 6 degrees Centigrade (43 degrees Fahrenheit) between the months of June and July. However, it’s important to note that at lower elevations such as in the Luangwa and Zambezi valleys in the south, temperatures can skyrocket as high as 40 degrees Centigrade (104 degrees Fahrenheit). If you’re looking for your own private getaway (or perhaps with a special someone) then why not consider the Islands of Siankaba on the Zambezi River? The Islands feature a variety of private lodges and are located in close proximity to the Victoria Falls and Chobe National Park. The River Club in Livingstone features beautiful rooms to behold, the rooms are stretched out over fifty acres of wonderfully-kept gardens and come complete with en suites, air conditioning and very often, plunge pools. If you’re looking for something more rustic and closer in to the bush, Busanga Bush Camp in Kafue has been built to last and is considered the closest thing to the wild itself that you can get, comprised entirely of a small trio of tents located in the heart of the plains. An ideal honeymooning location, Sausage Tree Camp in Lower Zambezi offers crisp white Bedouin-style tents fitted with fine linen and lit with romantic candles on a clean and smooth decking. The camp claims to have a variety of species in close proximity and sees Elephants, Hippos and Buffalo regularly wander into the camp, giving you the chance to see the animals up close. For something more modern with a crisp and bright flare to it, Tangala House in Tongabezi will be ideal for you! The Safari Resort stands right on the banks of the Zambezi river and comes fitted with a brightly-furnished lounge, children’s playroom, a staff consisting of a chef, waiters and a private guide, Tangala house is just what you’ve been looking for! Children will not require any additional documents that their adult counterparts would not require. Education in Zambia is divided into several levels: Primary (grades 1-7), Junior Secondary (grades 8-9), Upper Secondary (grades 10-12) and Higher Education. However, only Primary education is free and so many children drop out at this point. Basic Schools, as they are called, teach grades from one to nine (Primary & Junior Secondary) and are considered to be of a decent level of education. Government and Community Schools aside, Private Schooling is available and is largely the result of Christian missionaries’ efforts during the 20th Century; these schools typically follow either a British or American Curriculum but are typically too expensive for the locals to afford. To teach in Zambia, applicants will require a Bachelor’s Degree in either Education or one that is relevant to their subject taught. In addition, a teaching qualification with Qualified Teaching Status is also required with all qualifications obtained in a western country and the teacher in question must be a native English speaker with around two years of prior experience. It’s important to mention that candidates with international experience will largely be preferred and teachers with a TEFL or other certificate will have an advantage, although it should be noted that TEFL certificates and similar are not counted as teaching qualifications in themselves. Make sure to check out our guide on Visa and Work Permit Restrictions for more information. Living in Zambia is extremely cheap and prices are far lower than those in the west. A Meal in a restaurant for example will cost you around 61 ZMW ($10 or £5.90), while a litre bottle of water costs about 6.80 ZMW ($1.10 or £0.66), a litre of milk will cost you around 8.70 ZMW ($1.43 or £0.84), 500g of bread will cost around 6.50 ZMW ($1.10 or £0.63) and 12 Eggs go for about 12 ZMW ($2 or £1.20). Luxuries are just as cheap and may see a pack of cigarettes go for as cheap as 10 ZMW ($1.60 or £0.97), a litre of beer costing around 14 ZMW ($2.30 or £1.40) and a bottle of mid-range wine going as low as 62 ZMW ($10 or £6). Scaling it up a bit, rent is equally cheap and sees a single bedroom apartment go for as low as 2500 ZMW ($410 or £240), while in the city centre you’re looking at something closer to 4700 ZMW ($770 or £460). Meanwhile a 3-bedroom apartment in the city centre goes for around 9700 ZMW ($1600 or £940) and outside you’ll be seeing rent cost closer to 7600 ZMW ($1300 or £740). The NAPSA Theatre Club is devoted in providing dramatic activities, play writing opportunities and various performing arts displays to all of its members and accepts those of all experience levels from drama newbies to master thespians. If you like to soak your feet, why not jump in head first and join the Scuba Diving Safari out on Lake Kashiba? The Safari’s organizers are skilled divers and take on only the sternest of heart, so you’d better be prepared! The Lusaka Sports Club is a centre for those whom want to pick up a sport or just get into shape (or back into shape) and offers dedicated training courses which can be easily adapted specifically for any member. Meanwhile in Livingstone, the Livingstone Royal Golf and Country Club offers its members exclusive access to their very own golf course and other facilities, including a spa and a café. Better yet, the club is located only 20 minutes away from the Victoria Falls. The Football Association of Zambia, also known as FAZ Football, is the governing body responsible for monitoring and organizing all events of the sport within the country. The group has had many players to go on to play at a tournament level with some even making it into international leagues. Zambia’s biggest issues crime-wise are in human rights abuses by the authorities and human trafficking. Human rights abuses by the authorities are numerous and include unlawful killings, torture, beatings, life-threatening prison conditions, restrictions on freedom of speech, breach of privacy, government corruption, discrimination against women and children as well as abuse and trafficking, restrictions on labour rights, forced labour, child labour and lack of action by the government to punish offenders of these abuses. Human trafficking is numerous throughout the country and Zambia is used as a source, transit and destination point for many women and children being trafficked for the purposes of sexual exploitation and forced labour. Child prostitution is rampant in some areas, most frequently in urban centres, and it is common for relatives or acquaintances of the victim to facilitate their prostitution.